Patryk Bukalski was at a café near the Notre Dame Cathedral when he began smelling smoke. 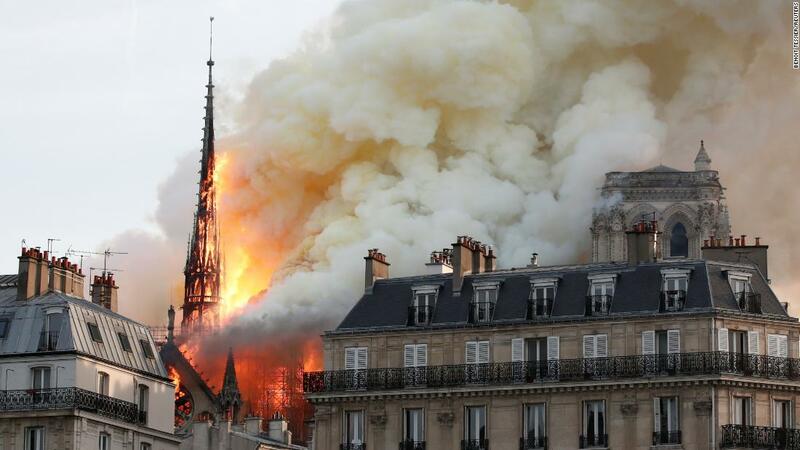 "A bartender said the Notre Dame is on fire, so I left and saw this horrible picture," he told CNN over Instagram, where he posted a video of the burning cathedral. He said people are standing outside, just watching and crying. "It's horrible. It's a symbol of Paris, "Bukalski said. "It's just sad. I do not know what more to say. " At the scene : It is eerily quiet. Hundreds of people are lining the Seine watching the fire, but they are silent. "In Paris, it's a monumental symbol – every person with different religions is really moved and saddened," said another witness named Anne Marie, she said: "Paris without the cathedral is not Paris anymore," she said.